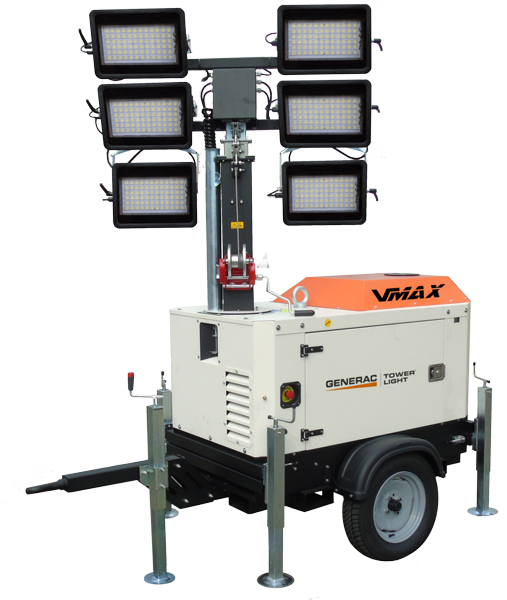 VMAX is the first crossover light tower in the industry, made by Generac Mobile®. This machine offers to our customers the performance of traditional light towers joined with new great and unique features. Available with 6×320 LED floodlights and Perkins 403D-11G engine. New version with 6x320W powerful LED lamps able to illuminate big working areas. The machine offers the possibility of handling with forklift from 4 sides for maximum flexibility. 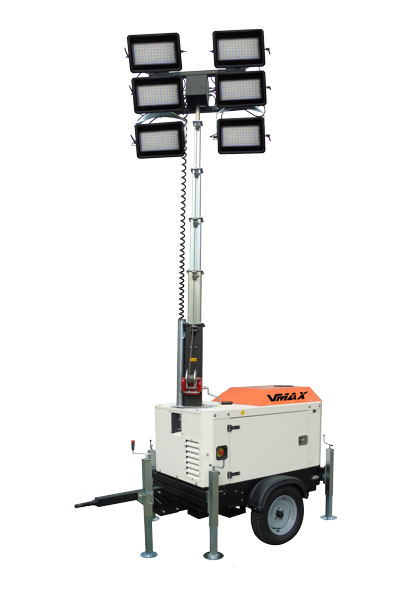 A more resistant canopy with reinforced frame with a protection to the frontal side of the machine makes the VMAX the perfect lighting tower for heavy applications. Thanks to the closed canopy, the VMAX light towers emits only 63 dB(A) @ 7 meters. Thanks to the new system of stabilizers, the VMAX offers its customers the ability to transform mobile machine in static few minutes and easy steps.